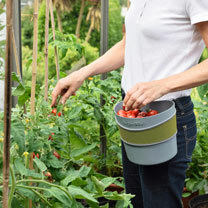 Hip-Trug is a new gardening accessory that clips easily to belt, pocket or waistband, leaving both hands free for gardening jobs - it's like having an extra pair of hands! This larger size is ideal for harvesting. No more overloaded hands, dropped debris or garden produce, and no more bending down to a container on the ground. 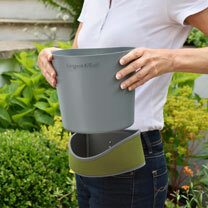 When it's full, the rugged trug slips out of the neoprene sleeve for easy emptying. 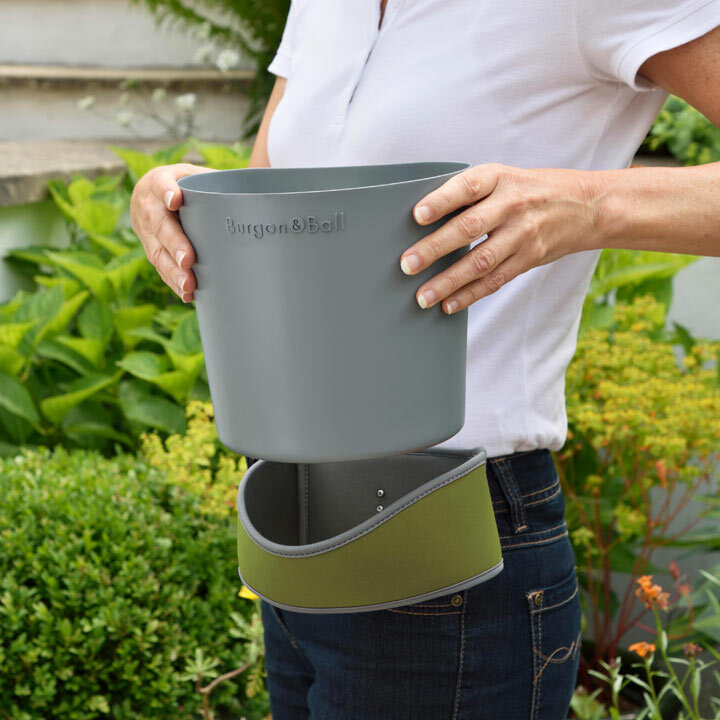 Trug is food, dishwasher and microwave safe. Capacity: 3 litres.